A classic favorite, this Kipepeo gold leaf necklace has been seen on Nicole Richie and other stylish celebs. High quality carved gold leaf pendant on chain. 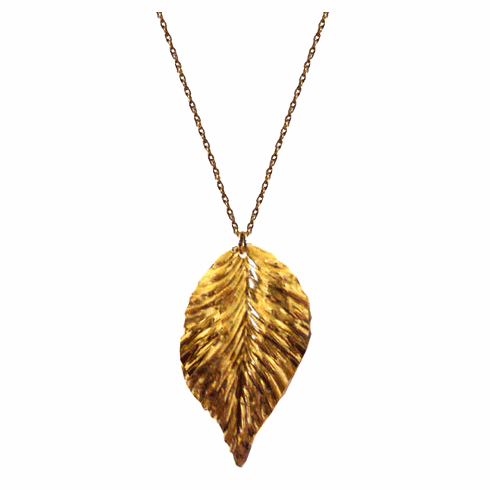 Approximate measurements: Adjustable Chain 22", Leaf Pendant 2"